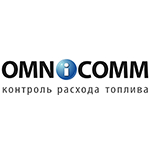 Omnicomm is a Russian company engaged in satellite monitoring systems development. For 17 years their partner network has extended to 100 countries globally. Company dealer network covers various regions of Russian Federation and the CIS countries. The core company products are cloud service, onboard terminals and fuel-level sensors. Omnicom is a constant guest in the top-list of companies with excellent connections dynamics. The chart below shows the changes within the last 30 days in the number units of Omnicomm devices type are connected to Wialon Data Center.